You can discover where your ads are writing checks that your landing page can’t cash in Google Analytics. Pull up your keyword report under Advertising > AdWords and add the secondary dimension of Destination URL (or make a custom report like mine below). 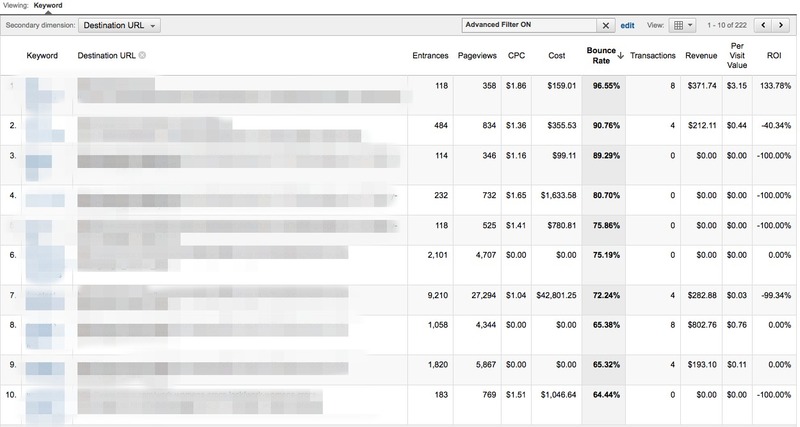 Sort by bounce rate and here you will see all the keywords that aren’t matching very well with their chosen landing pages. 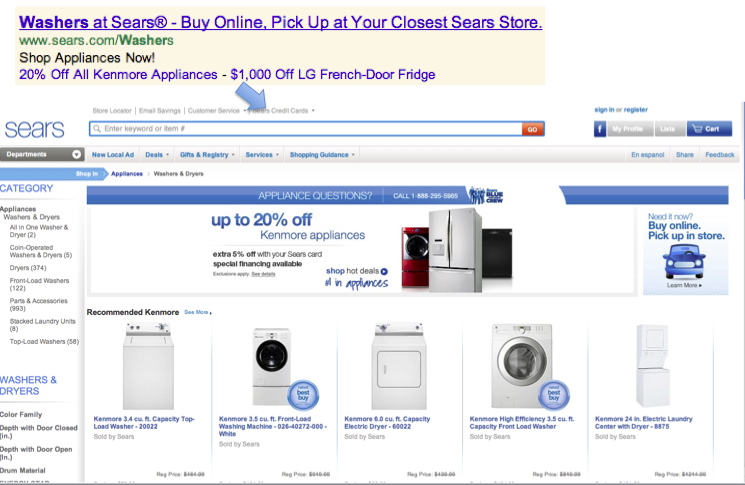 In my example below, line 2 has spent $335 and has a bounce rate of 90% and -40% ROI – ouch. Time to rethink the quality of this keyword and the quality of this landing page.